The attach-extend response to the 4-4 point double low approach is very common. Some of the more common White follow-ups include a, b, and c.
See easy way out of a double kakari for the josekis after and . 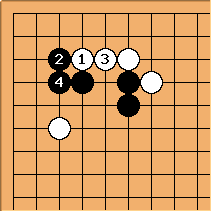 can attach underneath, and a simple response is to hane at , obtaining a base in the corner. 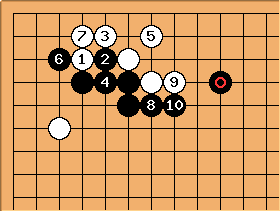 However, a more common play is to wedge at , which should also be a basic instinct. After , Black may pincer the White stone on the left. 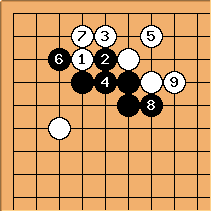 If Black has a supporting stone at , almost always choose to seal in the White group. 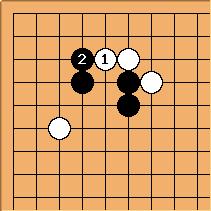 For this 3-3 invasion variation, see 4-4, double low approach, attach-extend, 3-3 invasion.